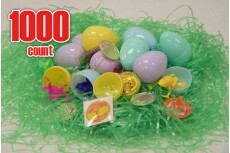 These toy filled Easter eggs contain a variety of kid friendly toys and novelties that make great Ea.. 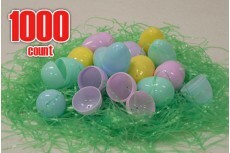 Sunny Bunny’s wholesale plastic Easter eggs are available in 5 colors and in bulk quantiti.. These Sunny Bunny Gold Easter eggs are the perfect addition to your Easter egg hunt. Many customers .. 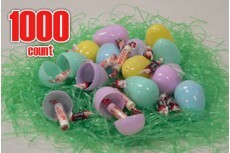 Sunny Bunny offers the best plastic Easter eggs available online at wholesale prices. These candy or toy filled plastic Easter eggs make great ideas for kids as well as Easter egg hunts or even Easter egg helicopter drops. Sunny Bunny Easter Eggs™ is a program of SWI Industrial Solutions and has been providing meaningful employment to people with disabilities since 1966. We currently serve over 220 adults at our 75,000 sq ft facility in Springfield, Missouri. For further information on SWI Industrial Solutions, please visit SWI Industrial Solutions. 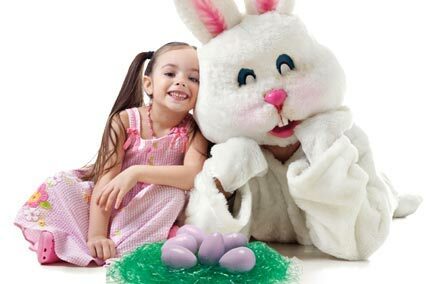 Sunny Bunny Easter Eggs™ are available in varying quantities, containing either individually wrapped candy or small toys. 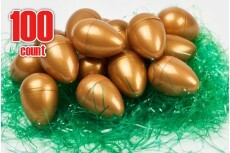 Bulk plastic Easter eggs & Gold plastic Easter eggs may also be purchased. All of our eggs are manufactured and filled in the U.S.A.